Howard’s basketball coach won’t be accompanying the team as it heads on the road following a brawl against Norfolk State. Howard will be making the trip down to Florida, but it won’t be taking its head coach with them. As first reported by HBCU Gameday, Kevin Nickelberry will not be with the team this weekend after last week’s brawl with Norfolk State. 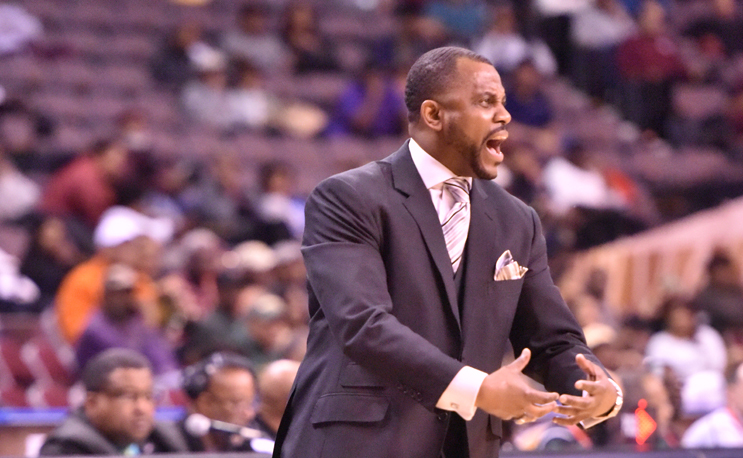 Howard University head men’s basketball coach Kevin Nickleberry has been placed on paid administrative leave pending the conclusion of an internal investigation of the altercation that occurred on Saturday, Feb. 2 between members of the Howard and the Norfolk State men’s basketball teams. Nickleberry will not travel with the team while the investigation is ongoing. This news comes less than a week after Nickelberry’s squad was involved in a brawl with Norfolk State that resulted in the suspension of six players. Three of them, Princewill Anosike, Jalen Jones and Andre Toure, were Howard players. According to a report in the Washington Post, Nickelberry himself had to be held back during the melee. HU will take on FAMU in Tallahassee on Saturday and Bethune-Cookman on Monday.